The report, co-authored by Josh McGee, LJAF Vice President of Public Accountability, and Michelle Welch, LJAF Public Accountability Research and Policy Manager, reveals that the city of Houston owes public workers at least $3.1 billion for retirement benefits they have already earned. Houston's pension debt is now a billion dollars more than the city's total general fund revenue, and the city is at a tipping point. If political leaders don't enact real reforms, the pension debt, which is continuing to rise, will threaten the city's ability to give workers and retirees the retirement they were promised. In addition, taxpayers may be forced to pay the price through higher taxes or reduced funding for roads, infrastructure, parks, and other public services that help make Houston a great place to live and work. 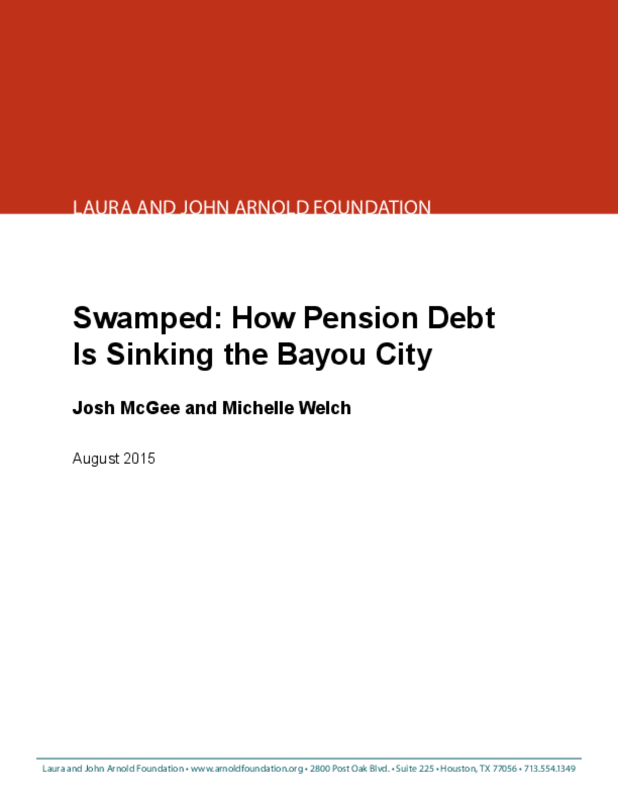 In the report, McGee and Welch present a range of fair and sustainable solutions that would address the growing debt and put the city's pension plans -- and the city's financial health -- back on the road to recovery. Copyright 2015 Laura and John Arnold Foundation.